iCritical Care: All Audio offers access to all of the Society of Critical Care Medicine's podcasts offering in-depth interviews on adult and pediatric clinical topics as well as updates in the field on various issues. Subscribing to All Audio ensures you receive all podcasts, whether iCritical Care hosts are chatting with authors from the Critical Care Medicine and Pediatric Critical Care Medicine journals, or covering other important topics with well-known speakers, prominent SCCM members or various thought leaders. Ludwig H. Lin, MD, and Benjamin Moses, MD, MS, discuss Dr. Moses' talk from the 48th Critical Care Congress titled Drug-Seeking Behavior in the ICU. They review the opioid crisis and managing addiction in the ICU. Margaret M. Parker, MD, MCCM, and Craig M. Coopersmith, MD, FCCM, discuss Dr. Coopersmith's talk from the 48th Critical Care Congress titled: The Gut as a Motor of Multiorgan Dysfunction in Critical Illness. Margaret M. Parker, MD, MCCM, speaks with SCCM President Heatherlee Bailey, MD, FCCM, about Dr. Bailey's path to becoming SCCM's 2019 president and about her goals for SCCM during her term as president. Ranjit Deshpande, MD, and Simon W. Lam, PharmD, MS, BCPS, BCCCP, FCCM, discuss procalcitonin guidance during different phases of antibiotics management in patients admitted to intensive care units. Ludwig H. Lin, MD, and Philipp Schuetz, MD, discuss procalcitonin and how it impacts treatment of sepsis. Ranjit Deshpande, MD, speaks with Rajit Basu, MD, MS, FCCM, about treating volume overload in the intensive care unit with renal replacement therapy. Kyle B. Enfield, MD, speaks with SCCM President Jerry J. Zimmerman, MD, PhD, FCCM, about the 2018 presidential address on high-value care that Dr. Zimmerman presented at the Society's 47th Critical Care Congress in San Antonio, Texas. Margaret Parker, MD, MCCM, speaks with Stefanie G. Ames, MD, about the article Hospital Variation in Risk-Adjusted Pediatric Sepsis Mortality, published in the May 2018 issue of Pediatric Critical Care Medicine. Kyle Enfield, MD, speaks with Colin K. Grissom, MD, FCCM, and Matthew W. Semler, MD, about fluid management in the critically ill.
Margaret Parker, MD, MCCM, speaks with Thomas V. Brogan, MD, about the article Variability in Antibiotic Use Across PICUs, published in the June 2018 issue of Pediatric Critical Care Medicine. Dr.
Ranjit Deshpande, MD, speaks with Matthew M. Churpek, MD, MPH, PhD, about the article, Predictors of In-Hospital Mortality After Rapid Response Team Calls in a 274 Hospital Nationwide Sample, published in the July 2018 issue of Critical Care Medicine. SCCM Pod-365 Medications and RRT: We Know How to Dose, Right? Dr. Fraser, MD, speaks with Bruce A. Mueller, PharmD, FCCP, FASN, about his talk presented at the 47th Critical Care Congress in San Antonio, Texas, entitled Artificial Kidney Meets Mechanical Lung: Comanaging the Patient with Renal and Respiratory Failure. Margaret Parker, MD, MCCM, speaks with Dana E. Niles, MS, about the article Characterization of Pediatric In-Hospital Cardiopulmonary Resuscitation Quality Metrics Across an International Resuscitation Collaborative, published in the May 2018 issue of Pediatric Critical Care Medicine. Margaret Parker, MD, MCCM, speaks with Joseph A. Carcillo, MD, about the article, American College of Critical Care Medicine Clinical Practice Parameters for Hemodynamic Support of Pediatric and Neonatal Septic Shock, published in the June 2017 issue of Critical Care Medicine. Margaret Parker, MD, MCCM, speaks with Michael C. McCrory, MD, MS, about the article, Time of Admission to the PICU and Mortality, published in the October 2017 issue of Pediatric Critical Care Medicine. Dr. Fraser, MD, speaks with Jean Baptiste Lascarrou, MD, about the article, Antibiotic Therapy in Comatose Mechanically Ventilated Patients Following Aspiration: Differentiating Pneumonia from Pneumonitis, published in Critical Care Medicine. Todd Fraser, MD, speaks with Bradford D. Winters, PhD, MD, FCCM, about alarm and alert fatigue in critical care. Alarm fatigue is the desensitization that clinicians experience to frequent alarms, particularly those that do not provide useful clinical information, or false alarms. Ludwig Lin, MD, speaks with Palash Kar, MBBS, about the article, Liberal Glycemic Control in Critically Ill Patients With Type 2 Diabetes: An Exploratory Study, published in Critical Care Medicine. Ludwig Lin, MD, speaks with Daniel E. Leisman, BS, about the article, Patterns and Outcomes Associated With Timeliness of Initial Crystalloid Resuscitation in a Prospective Sepsis and Septic Shock Cohort, published in Critical Care Medicine. Margaret Parker, MD, MCCM, speaks with Jeffrey D. Edwards, MD, MA, MAS, about the article, Repeated Critical Illness and Unplanned Readmissions Within 1 Year to PICUs, published in the August 2017 issue of Critical Care Medicine. Margaret Parker, MD, MCCM, speaks with Scott L. Weiss, MD, MSCE, about the article, The Epidemiology of Hospital Death Following Pediatric Severe Sepsis: When, Why, and How Children With Sepsis Die, published in the September 2017 issue of Pediatric Critical Care Medicine. Richard Iuorio, MD speaks with Laura Johnson, MD, and Jim Reilly, MD, about the workup, management, and critical sequelae of burn injuries. Ranjit Deshpande, MD, speaks with James A. Russell, MD, about the article, The Septic Shock 3.0 Definition and Trials: A Vasopressin and Septic Shock Trial Experience, published in the June 2017 issue of Critical Care Medicine. Richard Iuorio, MD, speaks with Kianoush Kashani, MD and Jim Reilly, MD about the pathophysiology and management of acute kidney injury. SCCM Pod-353 Are Biomarkers Ready for Prime Time? Kyle Enfield, MD, speaks with John A. Kellum, MD, MCCM, about his talk presented at the 46th Critical Care Congress in Honolulu, Hawaii entitled, Are Biomarkers Ready for Prime Time? Kyle Enfield, MD, speaks with Travis J. Moss, MD, MSc, and J. Randall Moorman, MD, about the article, New-Onset Atrial Fibrillation in the Critically Ill, published in the May 2017 issue of Critical Care Medicine. Ludwig Lin, MD, speaks with Charles Hunley, MD, about his talk presented at the 46th Critical Care Congress in Honolulu, Hawaii entitled, Rapidly Distributing Critical Care Services in Response to a Surge Event with Multiple Casualties. Ludwig Lin, MD, speaks with Grete Porteous, MD, about emergency preparedness in healthcare and the role of critical care personnel in catastrophic situations. Margaret Parker, MD, MCCM, speaks with Shari Simone, DNP, about the article, Implementation of an ICU Bundle: An Interprofessional Quality Improvement Project to Enhance Delirium Management and Monitor Delirium Prevalence in a Single PICU, published in the June 2017 issue of Pediatric Critical Care Medicine. Margaret Parker, MD, MCCM, speaks with Chani Traube, MD, about the article, Delirium in Critically Ill Children: An International Point Prevalence Study, published in the April 2017 issue of Critical Care Medicine. Margaret Parker, MD, MCCM, speaks Mark Duffett, PhD, about the article, High-Quality Randomized Controlled Trials in Pediatric Critical Care: A Survey of Barriers and Facilitators, published in the May 2017 issue of Pediatric Critical Care Medicine. Todd Fraser, MD, speaks with Christopher W. Seymour, MD, MSc, about the article, Delays From First Medical Contact to Antibiotic Administration for Sepsis, published in Critical Care Medicine. Margaret Parker, MD, MCCM, speaks with Ericka L. Fink, MD, MS, about the PANGEA study (Prevalence of Acute Critical Neurological Disease in Children: A Global Epidemiological Assessment), published in the April 2017 issue of Pediatric Critical Care Medicine. Sean P. Kane, PharmD, BCPS, speaks with Joshua Trob, MD about continuous renal replacement therapy. In the episode, the indications, timing of initiation, and intensity of renal replacement therapy are discussed. Todd Fraser, MD, speaks with Jenny Tcharmtchi, BSN, RN, CCRN, about the article, "Family Experience in the PICU," published in Critical Connections, the Society of Critical Care Medicine's newsletter. Dr. Ludwig Lin, MD, speaks with Christina Jones, PhD, RN, about the ICU Patient Diary Network. Dr. Jones discusses the widespread adoption of ICU diaries in the United Kingdom, various models that institutions are using, and the overall positive impact that implementation has had on patients, families, and providers. Sean P. Kane, PharmD, BCPS, speaks with Karen Berger, PharmD, BCPS, BCCCP about refractory status epilepticus. In the episode, the use of continuous sedatives is discussed for refractory epilepticus with a focus on the novel use of ketamine in super-refractory status epilepticus patients. Margaret Parker, MD, MCCM, speaks with John J. Marini, MD, about the Congress session Clinician Pro/Con: Paralysis and Proning in ARDS, which was presented at the 45th Critical Care Congress in Orlando, Florida. Sean P. Kane, PharmD, BCPS, speaks with Elliott Cohen, MD about extracorporeal membrane oxygenation (ECMO). In the episode, the basics of Veno-Arterial (VA) and Veno-Venous (VV) ECMO are outlined and the indications of ECMO therapy are discussed. Sean P. Kane, PharmD, BCPS, speaks with Scott T. Benken, PharmD, BCPS-AQ Cardiology about vasopressor selection in septic shock. In the episode, each vasopressor agent is discussed individually regarding its receptor profile, adverse effect profile, and the comparative clinical evidence supporting its use in this patient population. Sean P. Kane, PharmD, BCPS, speaks with Nadia Awad, PharmD, BCPS about Rumack-Matthew nomogram and acetaminophen toxicity. In the episode, the toxidrome of acetaminophen overdose is outlined and the nuances (including clinical practice pearls) are discussed regarding the nomogram used to decide whether N-acetylcysteine is warranted for acetaminophen toxicity. Ludwig Lin, MD, speaks with Brenda Pun, DNP, RN, ACNP, about the ICU Liberation ABCDEF Bundle Improvement Collaborative. Dr. Pun reflects upon Collaborative work, including origins and logistics of the project, team training and resource-sharing, and the importance of the interprofessional care model, as well as successes, challenges, and barriers to bundle implementation. Sean P. Kane, PharmD, BCPS, speaks with Joseph Muench, PharmD, BCPS about airway pharmacology. In the episode, the most common sedatives and paralytics for rapid sequence intubation are discussed, including concepts regarding dosing, adverse effects, onset and duration of effect, and clinical pearls. Sean P. Kane, PharmD, BCPS, speaks with Frank Paloucek, PharmD, DABAT about the use of activated charcoal in the overdose patient. In the episode, nuances of activated charcoal including dosing, dosage forms, administration, and efficacy are discussed. Ranjit Deshpande, MD, speaks with Patrick Kochanek, MD, MCCM, about his plenary talk at the 46th Critical Care Congress in Honolulu, Hawaii, entitled The Brain and Hypothermia: From Aristotle to Targeted Temperature Management, the Good Stuff Keeps Coming Back. Sean P. Kane, PharmD, BCPS, speaks with Ishaq Lat, PharmD, about new onset atrial fibrillation in septic shock. In the epsiode, the issue of rate versus rhythm control is discussed as well as the need for anticoagulation among this patient population. Sean P. Kane, PharmD, BCPS, speaks with Craig Cocchio, PharmD, BCPS, about angiotensin-converting enzyme (ACE) inhibitor-induced angioedema. In the episode, a variety of treatment approaches for ACE inhibitor-induced angioedema are discussed, including fresh frozen plasma, ecallantide, icatibant, and conventional therapies for undifferentiated angioedema. Stressful decision making often falls to family members because most patients in the ICU are too ill to participate in decisions. Ranjit Deshpande, MD, speaks with Judy E. Davidson, DNP, RN, FAAN, FCCM, and J. Randall Curtis MD, MPH, about the Guidelines for Family-Centered Care in the Neonatal, Pediatric, and Adult ICU. Dr. Ludwig Lin, MD, speaks with John C. Marshall, MD, FRCSC, FACS, about his talk given at the 46th Critical Care Congress in Honolulu, Hawaii on, Building Global Collaboration in Acute Care Research. Dr. Todd Fraser, MD, speaks with Michael J. Murray, MD, PhD, FCCM, FCCP, about the article, Clinical Practice Guidelines for Sustained Neuromuscular Blockade in the Adult Critically Ill Patient, published in Critical Care Medicine. Ludwig Lin, MD, speaks with Mitchell M. Levy, MD, MCCM, about the release of the Surviving Sepsis Campaign: International Guidelines for Management of Sepsis and Septic Shock: 2016, presented at the 46th Critical Care Congress in Honolulu, Hawaii. Ludwig Lin, MD, speaks with Ruth M. Kleinpell, PhD, RN, FAAN, FCCM. Dr. Kleinpell is Director at the Center for Clinical Research and Scholarship and Professor in the College of Nursing at Rush University in Chicago, Illinois. Margaret Parker, MD, MCCM, speaks with Lakhmir S. Chawla, MD, about future research related to the Congress session: Bench-Pressing in the ICU: Which Vasopressor Agent Should I Choose for My Patient? which he presented at the 45th Critical Care Congress in Orlando, Florida. Margaret Parker, MD, MCCM, speaks with David B. Kantor, MD, PhD, about the article, Ultrasound Guidance and Other Determinants of Successful Peripheral Artery Catheterization in Critically Ill Children, published in the December 2016 issue of Pediatric Critical Care Medicine. Margaret Parker, MD, MCCM, speaks with Mary Jo C. Grant, APRN, PhD, about the article, Dexmedetomidine Use in Critically-Ill Children with Acute Respiratory Failure, published in the December 2016 issue of Pediatric Critical Care Medicine. Todd Fraser, MD, speaks with Scott Kaatz, DO, FACP, SFHM, about his talk given at the 45th Critical Care Congress on, Bleeding Management and Reversal Strategies for the DOAC Patient: New and Future Approaches. Dr. Kaatz is Senior Staff Hospitalist and Medical Director for Professional Development and Research in the Division of Hospital Medicine at Henry Ford Hospital in Detroit, Michigan. Todd Fraser, MD, speaks with Arjen Slooter, MD, PhD, about the article, Long-Term Mental Health Problems After Delirium in the ICU, published in Critical Care Medicine. Margaret Parker, MD, MCCM, speaks with Aaron C. Spicer, MD, MAS. Dr. Spicer completed a pediatric residency and critical care fellowship and now is a resident in the Department of Anesthesia, Critical Care, and Pain Medicine at the Massachusetts General Hospital in Boston, Massachusetts. Ludwig Lin, MD, speaks with Sachin Yende, MD, MS, about his article, "Long-Term Quality of Life Among Survivors of Severe Sepsis: Analyses of Two International Trials," published in Critical Care Medicine. SCCM Pod-327 Does Simulation Improve Recognition and Management of Pediatric Septic Shock? Margaret Parker, MD, MCCM, speaks with Mark C. Dugan, MD, about the article: Does Simulation Improve Recognition and Management of Pediatric Septic Shock, and If One Simulation Is Good, Is More Simulation Better? Ludwig Lin, MD, speaks with Jane Taylor, Ed.D, about quality improvement science and her contributions to the Surviving Sepsis Campaign. Margaret Parker, MD, MCCM, speaks with Christine Gall, DrPH, about the article, "Pediatric Triage in a Severe Pandemic: Maximizing Survival by Establishing Triage Thresholds," published in the September 2016 issue of Critical Care Medicine. Todd Fraser, MD, speaks with Joseph L. Nates, MD, MBA, FCCM, about the article, "Intensive Care Unit Admission, Discharge, and Triage Guidelines: A Framework to Enhance Clinical Operations, Development of Institutional Policies, and Further Research," published in Critical Care Medicine. Todd Fraser, MD, speaks with Alexander B. Levitov, MD, FCCM, FCCP, RDCS. Dr. Levitov is a professor in the division of Pulmonary and Critical Care Medicine and Director of the Ultrasound Training Program at Eastern Virginia Medical School in Norfolk, Virginia. Margaret Parker, MD, MCCM, speaks with Chadwick P. Smith, MD, about disaster and mass casualty response strategies in the wake of the Orlando shooting. Margaret Parker, MD, MCCM, speaks with Marin H. Kollef, MD, about the article, Impact of Sepsis Classification and Multidrug-Resistance Status on Outcome Among Patients Treated With Appropriate Therapy, published in Critical Care Medicine. Margaret Parker, MD, MCCM, speaks with Neethi Pinto, MD, about her talk, Learning from Others: What We Can All Take from the Pediatrics Experience, presented at the 45th Critical Care Congress in Orlando, Florida. SCCM Pod-318 A Multicenter Evaluation of Prolonged Empiric Antibiotic Therapy in Adult ICUs in the U.S.
Michael S. Weinstein, MD, FACS, FCCM, speaks with Zachariah Thomas, PharmD, about the article, A Multicenter Evaluation of Prolonged Empiric Antibiotic Therapy in Adult ICUs in the United States, published in Critical Care Medicine. Todd Fraser, MD, speaks with Nick Daneman, MD, about the article, Duration of Antimicrobial Treatment for Bacteremia in Canadian Critically Ill Patients, published in Critical Care Medicine. Todd Fraser, MD, speaks with Paul Young, FCICM, about the article, Effect of a Buffered Crystalloid Solution vs Saline on Acute Kidney Injury Among Patients in the Intensive Care Unit: The SPLIT Randomized Clinical Trial. Margaret Parker, MD, MCCM, speaks with Steven L. Shein, MD, about the article, Effectiveness of Pharmacological Therapies for Intracranial Hypertension in Children With Severe Traumatic Brain Injury. SCCM Pod-314 Sepsis Redefined: Why Do We Need a New Definition? Margaret Parker, MD, MCCM, speaks with Clifford S. Deutschman, MD, FCCM, about his talk, Sepsis Redefined: Why Do We Need a New Definition? presented at the 2016 Critical Care Congress in Orlando, Florida. Michael S. Weinstein, MD, FACS, FCCM, speaks with Charles V. Pollack, Jr., MD. Dr. Pollack is Professor and Senior Advisor for Interdisciplinary Research and Clinical Trials in the Department of Emergency Medicine at Sidney Kimmel Medical College of Thomas Jefferson University. Margaret Parker, MD, MCCM, speaks with SCCM President Todd Dorman, MD, FCCM. Dr. Dorman is Senior Associate Dean for Education Coordination, Associate Dean of Continuing Medical Education, and Professor and Vice Chair for Critical Care. The Society of Critical Care Medicine's Immediate Past-President, Craig Coopersmith, MD, FACS, FCCM, discusses the new sepsis definitions published in JAMA and unveiled during the 45th Critical Care Congress. Margaret Parker, MD, MCCM, speaks with Philip Toltzis, MD. Dr. Toltzis is Professor of Pediatrics at Case Western Reserve University School of Medicine. Margaret Parker, MD, MCCM, speaks with Benjamin Abella, MD. Dr. Abella is Associate Professor of Emergency Medicine and Vice Chair of Research in the Department of Emergency Medicine at the University of Pennsylvania in Philadelphia, Pennsylvania. Margaret Parker, MD, MCCM, speaks with Joshua N. Goldstein, MD, PhD, FACEP, FAHA. Dr. Goldstein works as an Associate Professor of Surgery at Harvard Medical School. Margaret Parker, MD, MCCM, speaks with Christina L. Cifra, MD. Dr. Cifra is a Pediatric Intensivist and an Assistant Professor in the Department of Pediatrics at the University of Iowa Carver College of Medicine in Iowa City, Iowa. Ludwig Lin, MD, speaks with Derek C. Angus, MD, MPH, FRCP, about his upcoming talk which he will present this February at the 45th Critical Care Congress in Orlando, Florida. Todd Fraser, MD, speaks with Derek Wheeler, MD. Dr. Wheeler works as an Intensive Care Specialist at the Cincinnati Children's Hospital Medical Center. Margaret Parker, MD, MCCM, speaks with Courtney M. Rowan, MD. Dr. Rowan works as a Critical Care Intensivist in the Department of Pediatrics at Indiana University School of Medicine Riley Hospital for Children in Indianapolis, Indiana. Ludwig Lin, MD, speaks with Maurene A. Harvey, MPH, RN, MCCM, about her upcoming plenary talk which she will present this February at the 45th Critical Care Congress in Orlando, Florida. Margaret Parker, MD, MCCM, speaks with Ann-Marie Brown, ACNP, PhD, RN, FCCM, Assistant Professor of Nursing at the University of Akron and Advanced Practice Nurse in the Pediatric Intensive Care Unit at Akron Children's Hospital in Akron, Ohio. Ludwig Lin, MD, speaks with Azra Bihorac, MD, MS, FCCM. Dr. Bihorac works as an Associate Professor of Anesthesiology, Surgery and Medicine at the University of Florida. Margaret Parker, MD, MCCM, speaks with Mirjana Cvetkovic, FRCA. Dr. Cvetkovic works as a Clinical Fellow at the Children's Acute Transport Service at Great Ormond Street Hospital in London and a Consultant Intensivist in Anesthesia at Leicester Hospital. Michael S. Weinstein, MD, FACS, FCCM, speaks with Giovanni Landoni, MD. Dr. Landoni works as an Associate Professor in the Department of Anesthesia and Intensive Care at IRCCS San Raffaele Scientific Institute in Milan, Italy. Michael S. Weinstein, MD, FACS, FCCM, speaks with Stephen M. Pastores, MD, FCCM. Dr. Pastores serves as Program Director of Critical Care Medicine in the Department of Anesthesiology and Critical Care Medicine at Memorial Sloan-Kettering Cancer Center. Margaret Parker, MD, MCCM, speaks with Michael Gaies, MD. Dr. Gaies is an Assistant Professor and works as a Cardiac Intensivist in the Division of Cardiology, Department of Pediatrics and Communicable Diseases at C.S. Mott Childrens Hospital and University of Michigan Medical School in Ann Arbor, MI. Ludwig Lin, MD, speaks with Michael Blaivas, MD, FACEP, FAIUM. Dr. Blaivas serves as a Professor of Medicine at the University of South Carolina School of Medicine. Michael S. Weinstein, MD, FACS, FCCM, speaks with C. Terri Hough, MD, MSc. Dr. Hough works as an Associate Professor of Medicine in the Division of Pulmonary and Critical Care Medicine at the University of Washington School of Medicine. Margaret Parker, MD, MCCM, speaks with Donald D. Vernon, MD, FAAP. Dr. Vernon is a Professor of Pediatrics at the University of Utah in Salt Lake City, Utah. Ludwig Lin, MD, speaks with Mark Mikkelsen, MD, MSCE. Dr. Mikkelsen works as an Assistant Professor of Medicine at the Hospital of the University of Pennsylvania in Philadelphia, Pennsylvania. SCCM Pod-284 The Very Elderly Admitted to ICU: A Quality Finish? Michael Weinstein, MD, FACS, speaks with Todd W. Rice, MD, MsC. Margaret Parker, MD, MCCM, speaks with Guillaume Emeriaud, MD, PhD. Margaret Parker, MD, MCCM, speaks with Chani Traube, MD. SCCM Pod-275 44th Critical Care Congress: Is Repair After AKI Linked to Long-Term Outcomes? Todd Fraser, MD, speaks with John Kellum, MD, MCCM, Professor of Critical Care Medicine at the University of Pittsburgh. Ludwig Lin, MD, speaks with Lars O. Hoiseth, MD. Todd Fraser, MD, speaks with Kay Choong See, MRCP. Margaret Parker, MD, MCCM, speaks with Laura Hawryluck, MD, FRCPC, about Nepal's critical care infrastructure. Ludwig H. Lin, MD, speaks with Dan R. Thompson, MD, MA, MCCM. Aligning Goals and Strategies within the Healthcare System. Ludwig H. Lin, MD, speaks with Keri Nasenbeny, RN, MHA, Assistant Administrator of Critical Care at the University of Washington Medical Center in Seattle. Michael Weinstein, MD, FACS, FCCP, speaks with Phillip R. Dellinger, MD, MCCM. Ludwig Lin, MD, speaks with Colin R. Cooke, MD. Michael Weinstein, MD, FACS, FCCP, discusses Ultrasound Credentialing with Michael Blaivas, MD, FAIUM, FACEP. Michael Weinstein, MD, FACS, FCCP, speaks with E. Wesley Ely, MD, FCCM, at the 44th Critical Care Congress in Phoenix, Arizona. Michael Weinstein, MD, FACS, FCCP, speaks with the Society of Critical Care Medicine 2015 President, Craig M. Coopersmith, MD, FCCM. Ludwig H. Lin, MD, speaks with Dorrie K. Fontaine, PhD, RN, FAAN, Dean and Professor at the University of Virginia School of Nursing. Margaret Parker, MD, MCCM, speaks with James L. Wynn, MD. Michael Weinstein, MD, FACS, FCCP, speaks with Heidi J. Engel, PT, DPT of UCSF Medical Center. Michael Weinstein, MD, FACS, FCCP, speaks with Brian Gehlbach, MD, Associate Professor in the Division of Pulmonary, Critical Care, and Occupational Medicine at the University of Iowa Hospitals and Clinics. Margaret Parker, MD, MCCM, speaks with the Society of Critical Care Medicine President-Elect, Craig Coopersmith, MD, FCCM, and Jay Varkey, MD, about the Ebola epidemic. Michael Weinstein, MD, FACS, FCCP, speaks with Adam Sapirstein, MD, Associate Professor in the Department of Anesthesia and Critical Care Medicine at the Johns Hopkins School of Medicine. SCCM Pod-236 Are Pediatric Intensivists Changing Their Transfusion Practices? Margaret Parker, MD, MCCM, speaks with Jacques R. Lacroix, MD. Margaret Parker, MD, MCCM, speaks with Kyle Rehder, MD, assistant professor of pediatrics in the division of pediatric critical care medicine at Duke Children Hospital. Margaret Parker, MD, FCCM, speaks with Andrew Argent, MD, Medical Director of the Pediatric Intensive Care Unit (PICU) at the Red Cross War Memorial Childrens Hospital. Michael Weinstein, MD, FACS, FCCP, speaks with Jessica Spence, BMR(OT), BSc(Med) MD, a PGY3 Resident at McMaster University. Michael Weinstein, MD, FACS, FCCP, speaks with David Hwang, MD, Assistant Professor of Neurology in the Division of Neurocritical Care and Emergency Neurology at the Yale School of Medicine. Margaret Parker, MD, FCCM speaks with Cathie Guzzetta, RN, PhD, HNC, FAAN. Michael Weinstein, MD, FACS, FCCP, speaks with Hayley Beth Gershengorn, MD, lead author on an article published in the August Critical Care Medicine. Michael Weinstein, MD, FACS, FCCP, speaks with Mitchell P. Fink, MD, FCCM. Michael Weinstein, MD, FACS, FCCP, speaks with Judith Nelson, MD, JD, lead author on an article published in the October Critical Care Medicine. Jeffrey Guy, MD, MSc, MMHC, speaks with R. Phillip Dellinger, MD, MCCM, co-chair of the updated Surviving Sepsis Campaign Guidelines. Michael Weinstein, MD, FACS, FCCP, speaks with David John Murphy, MD, PhD, lead author on an article published in the October Critical Care Medicine. Michael Weinstein, MD, FACS, FCCP, speaks with Neil A. Halpern, MD, FCCM, who discusses his lecture. Margaret Parker, MD, FCCM, speaks with Mary Hartman MD, MPH, about her article published in the September Pediatric Critical Care Medicine. Michael Weinstein, MD, FACS, FCCP, speaks with Jonathan Elmer, MD, lead author on an article published in the August Critical Care Medicine. Michael Weinstein, MD, FACS, FCCP, speaks with Philip E. Empey, PharmD, PhD, BCPS, who discusses his Young Investigator Award winning abstract. Michael Weinstein, MD, FACS, FCCP, speaks with Matthew Lissauer, MD, FACS, to discuss his surgical intensive care unit's efforts to improve the care provided to critically ill and injured patients and their families. Jeffrey Guy, MD, MSc, MMHC, speaks with Omar Badawi, PharmD, MPH, to discuss his article published in the December Critical Care Medicine. Margaret Parker, MD, FCCM, speaks with MD, MPH, Angela S. Czaja, MD, MSc, lead author on an article published in the July Pediatric Critical Care Medicine. Margaret Parker, MD, FCCM, speaks with Murray M. Pollack, MD. Michael Weinstein, MD, FACS, FCCP, speaks with J. Randall Curtis, MD, MPH. Margaret Parker, MD, FCCM, speaks with John T. Berger, MD, FCCM, Medical Director for Cardiac Critical Care at Childrens National Medical Center in Washington, DC, USA. Michael Weinstein, MD, FACS, FCCP, speaks with Saqib A. Chaudhry, MD, lead author on an article published in the June Critical Care Medicine. Michael Weinstein, MD, FACS, FCCP, speaks with David F. Gaieski, MD. Jeffrey Guy, MD, MSc, MMHC, speaks with Christa A. Schorr, RN, MSN, FCCM, who is with us today to discuss implementing the Surviving Sepsis Campaign (SSC) guidelines. Jeffrey Guy, MD, MSc, MMHC, speaks with David R. Janz, MD, lead author on an article published in the December issue of Critical Care Medicine. Michael Weinstein, MD, FACS, FCCP, speaks with Warren C. Dorlac, MD, FACS, about his Critical Care Congress lecture. Society of Critical Care Medicine president Carol L. Thompson, PhD, CCRN, ACNP, FCCM, discusses her professional background as a nurse. Margaret Parker, MD, FCCM, speaks with Heidi J. Dalton, MD, FCCM, about extracorporeal membrane oxygenation (ECMO) in pediatric critical care. Margaret Parker, MD, FCCM, speaks with Eliotte L. Hirshberg, MD. Jeffrey Guy, MD, MSc, MMHC, speaks with Juliana Barr, MD, FCCM. The guidelines provide a roadmap for developing integrated, evidence-based, and patient-centered protocols for preventing and treating pain, agitation and delirium. Jeffrey Guy, MD, MSc, MMHC, speaks with Bradley D. Freeman, MD, FACS, to discuss his article published in the October Critical Care Medicine. Use of Procalcitonin (PCT) for the diagnosis of infection has been studied extensively with conflicting results, in part because of the many different populations and clinical syndromes studied. Robert M. Pearl, MD, discusses the state of U.S. medicine as well as the importance of information technology and the future of healthcare reform with podcast editor Jeffrey Guy, MD, MSc, MMHC. iCritical Care associate editor Michael S. Weinstein, MD, FACS, FCCP, speaks with Ellen Cowen Meltzer, MD, MSc. Former SCCM president Mitchell M. Levy, MD, FCCM, discusses communications bundles with podcast editor Jeffrey Guy, MD, MSc, MMHC. Jeffrey Guy, MD, MSc, MMHC, speaks with Clifford S. Deutschman, MD, FCCM, and Craig M. Coopersmith, MD, FCCM, who each serves as lead authors in two Critical Care Medicine papers related to critical care research. Ainsley Malone, RD, MS, LD, GNSD, discusses goal-directed nutrition with podcast editor Jeffrey Guy, MD, MSc, MMHC. iCritical Care associate editor Michael S. Weinstein, MD, FACS, FCCP, talks with Peter M. Dodek, MD, MHSc, FRCPC, FACP, about his article published in the May 2012 Critical Care Medicine. Margaret Parker, MD, FCCM, associated podcast editor, speaks with Patrick M. Kochanek, MD, MCCM, about the revised guidelines for acute medical management of severe traumatic brain injury. New iCritical Care associate editor Michael S. Weinstein, MD, FACS, FCCP, speaks with Kenneth Christopher, MD, about his paper published in the May 2012 Critical Care Medicine. Bryan A. Cotton, MD, MPH, discusses damage control resuscitation with new iCritical Care Podcast editor Jeffrey Guy, MD, MSc, MMHC. Carol E. Nicholson, MD, MS, FAAP, is the Project Scientist for the Collaborative Pediatric Critical Care Research Network (CPCCRN) and Program Director for Pediatric Care and Rehabilitation Research (PCCR). Jennifer A. Frontera, MD, discusses national trends in the prevalence, cost and discharge disposition of patients after subdural hematoma. Matthew Paden, MD, discusses his Pediatric Critical Care Medicine article: Recovery of Renal Function and Survival After Continuous Renal Replacement Therapy During Extracorporeal Membrane Oxygenation. 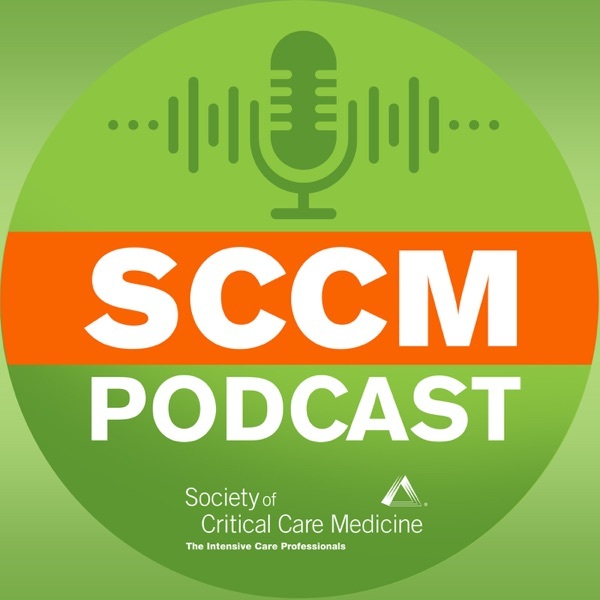 SCCM Pod-166 CCM: How Much Nutrition Should Critically Ill Patients Receive? Todd W. Rice, MD, MSc, is the lead author of an article published in the May 2011 Critical Care Medicine. Ramya Srinivasan, MD, discusses her article published in the January Pediatric Critical Care Medicine. Allan J. Walkey, MD, MSc, is the lead author of an article published in the June 2011 Critical Care Medicine. Graeme MacLaren, MD, FCCM, is the lead author on an article published in the March Pediatric Critical Care Medicine. SCCM Pod-162 Healthcare Quality: How Did We Get Here? Kristine Lombardozi, MD, FCCM, discusses her article published in the August Critical Connections. SCCM president-elect Clifford S. Deutschman, MD, FCCM, professor of anesthesiology and critical care at the University of Pennsylvania School of Medicine in Philadelphia. Mark Hall, MD, is a pediatric intensivist at Nationwide Childrens Hospital in Columbus, Ohio, where he is also an assistant professor of pediatrics at the University College of Medicine. The Fourth National Audit Project of the Royal College of Anaesthetists and Difficult Airway Society was designed to identify and study serious airway complications occurring during anaesthesia in the intensive care unit and emergency department. Cindy L. Munro, RN, PhD, ANP-C, authored an article in the 2009 American Journal of Critical Care, titled: Chlorhexidine, Toothbrushing, and Preventing Ventilator-Associated Pneumonia (VAP) in Critically Ill Adults. Troy E. Batterton, PharmD, a pharmacist at Lakeland Regional Medical Central, and Dean Sandifer, MD, an internist, both practicing at Lakeland Regional Medical Center in Lakeland, Florida. Pratik Pandharipande, MD, FCCM, is an assistant professor of anesthesiology at Vanderbilt University Medical Center in Nashville, Tennessee. Samuel A. Tisherman, MD, is a professor of critical care medicine and surgery at the University of Pittsburgh Medical Center in Pennsylvania, and director of critical care fellowship at the University of Pittsburgh. Babak Sarani, MD, is a trauma surgeon and an assistant professor of surgery at the University of Pennsylvania. Craig Coopersmith, MD, FCCM, is a professor of surgery at Emory University School of Medicine in Atlanta, Georgia. Marin H. Kollef, MD, is lead author of an article published in the March 2011 Critical Care Medicine. Kathleen A. Puntillo, RN, DNSc, is the lead author of an article published in the November 2010 Critical Care Medicine. Ravi Thiagarajan, MD, MBBS, MPH, discusses his article published in the January Pediatric Critical Care Medicine. George A. Sample, MD, is a senior attending in critical care at Washington Hospital Center in Washington, DC. Randy S. Wax, MD, and Marie Baldisseri, MD, FCCM, discuss disaster management and their relief efforts after the 2010 Haiti earthquake. Judith Jacobi, PharmD, BCPS, FCCM, discusses drug shortages in the intensive care unit and how such shortages affect critical care patients and those requiring anesthesia. Society of Critical Care Medicine president Pamela A. Lipsett, MD, MHPE, FCCM, discusses her professional background and research interests. Steven B. Leder, PhD, discusses his article, Dysphagia Testing and Aspiration Status in Medically Stable Infants Requiring Mechanical Ventilation Via Tracheotomy, published in the July 2010 Pediatric Critical Care Medicine. Christopher L. Carroll, MD, FCCM, lead author of an article published in the May 2010 issue of Pediatric Critical Care Medicine. Monica Vavilala, MD, discusses her recent article published in the May issue of Pediatric Critical Care Medicine. Timothy D. Girard, MD, MSCI, discusses his July 2010 Critical Care Medicine article. Better understanding of important aspects of trial design and interpretation, such as whether patients enrolled in both intervention arms were comparable and whether the primary outcome of the trial is clinically important, will assist the bedside clinician in determining whether to apply the findings from the clinical study into clinical practice. Matthew C. Scanlon, MD, discuses his article: Value of human factors to medication and patient safety in the intensive care unit. Lewis J. Kaplan, MD, FCCM, discusses acute care surgery, its relation to surgical critical care, and his predictions for the future of acute care surgery, trauma surgery and surgical critical care. Joseph F. Dasta, MSc, FCCM, discusses his article published in the February 2010 issue of Critical Care Medicine. Amelia Hopkins, MD, FCCM, discusses her article published in the September 2009 issue of Pediatric Critical Care Medicine. John A. Kellum, MD, FCCM, discusses how one uses RIFLE to take care of patients with acute kidney injury (AKI). Anthony Carlese, MD, DO, discusses management of the patient after cardiac surgery, specifically his approach to caring for patients in the ICU who have just undergone coronary artery bypass surgery. Ruth Kleinpell, RN, PhD, RN-CS, FCCM, discusses her experience as a nurse practitioner as well as her research into the role of nurse practitioners and physician assistants in the ICU. Michael Cheatham, MD, FCCM, director of the surgical intensive care units at Orlando Regional Trauma Center in Florida, discusses his latest paper. The Paragon Critical Care Quality Implementation Program is a quality-focused program aimed to bring effective, tailored improvement strategies to hospitals. Society of Critical Care Medicine president Judith Jacobi, PharmD, BCPS, FCCM, discusses her goals and vision for the Society during her 2010 term. Barbara McLean, ACNP, CCNS-NP, a nurse from Piedmont Healthcare in Atlanta, Georgia, discusses her recent volunteer efforts in Haiti following the January 12, 2010, earthquake that devastated the area. McLean discusses general disaster management strategies as well as patient populations and care challenges specific to the event. Robert Tasker, MD, MBBS, discusses two editorials related to neurological issues in critical care. Bradley D. Freeman, MD, discusses his article published in the December 2009 Critical Care Medicine, titled: Examination of Non-clinical Factors Affecting Tracheostomy Practice in an Academic Surgical Intensive Care Unit. SCCM Pod-119 PCCM: Does Fellowship Program Size and Rotations Affect Clinical and Research Time? Wynne Morrison, MD, discusses an article published in the May issue of Pediatric Critical Care Medicine, which highlighted the results of a national survey of pediatric critical care medicine fellowship clinical and research time allocation. Leticia Castillo, MD, FCCM, assistant professor at Baylor College of Medicine in Houston, Texas, discusses an article published in Pediatric Critical Care Medicine. Margaret Parker, MD, FCCM, discusses her article published in the January 2009 Critical Care Medicine. Michelle Gong, MD, MS, discusses her recent articled published in the August 2009 issue of Critical Care Medicine. Elaine Meyer, RN, PhD, discuss a paper published recently in Pediatric Critical Care Medicine. SCCM Pod-114 CCM: Why Not Physician-Assisted Death? Constantine A. Manthous, MD, associate clinical professor of medicine at Bridgeport Hospital and Yale University School of Medicine in Connecticut, discusses his article published in the April 2009 issue of Critical Care Medicine. Phillip S. Barie, MD, MBA, FCCM, discusses decontamination of the digestive tract and oropharynx in an attempt to prevent ventilator-associated pneumonia. He discusses a recent article published in The New England Journal of Medicine, "Decontamination of the Digestive Tract and Oropharynx in ICU Patients." Barie is Immediate Past President of the Society of Critical Care Medicine (SCCM), as well as professor of surgery and public health at Weill Medical College of Cornell University in New York. He is also the director of surgical critical care and the surgical intensive care unit at New York Presbyterian Hospital. While Barie has not authored either of these articles, he is considered an expert in this field, which is very important to critical care practice. Michael Diringer, MD, FCCM, discusses his article published in Critical Care Medicine about the management of acute aneurysmal subarachnoid hemorrhage. Diringer is professor of neurology, neurosurgery, anesthesiology and occupational therapy at Washington University School of Medicine in St. Louis, Missouri. He is also section chief of neurological critical care. Diringer discusses the anticipation, prevention, and management of secondary complications related to aneurysmal subarachnoid hemorrhage. Rosemarie Fernandez, MD, an assistant professor at Wayne State University in Michigan, discusses an article published in the June 2009 issue of Critical Care Medicine, "The Presence of a Family Witness Impacts Physician Performance During Simulated Medical Codes." This is second iCritical Care Podcast to address this topic; listeners also may reference SCCM Pod-72 PCCM: Family Presence During Pediatric CPR. When faced with the complex conditions of critically ill and injured patients, eye care can sometimes be overlooked in the intensive care unit (ICU). However, attention to the eye is important, as these patients are at increased risk of exposure keratopathy. Naomi O'Grady, MD clarifies the strain of the current virus, discusses the difference between a pandemic and an epidemic, and outlines the prescription therapies available specific to H1N1 Influenza. O'Grady is a senior staff physician in the Clinical Center's Critical Care Medicine Department and the medical director of the department's Vascular Access and Conscious Sedation Services. She also is an attending physician with the Pediatric Critical Care Medicine Department of the Children's National Medical Center and an assistant professor in the Department of Internal Medicine's Division of Infectious Diseases at Johns Hopkins University School of Medicine. This podcast is the third in a series focused on the H1N1 Influenza outbreak. John H. Beigel, MD, clarifies the definition of influenza and discusses the evolution of viruses, speculation on the mode of transmission and the role of vaccines and therapies as they relate to Influenza A (H1N1). The conversation references his recent publication in Critical Care Medicine (Beigel JH. Influenza. Crit Care Med. 2008; 36:2660-2666). Dr. Beigel is Director of Clinical Research at MacroGenics, Inc. in Rockville, Maryland, and a volunteer consultant at the National Institute of Allergy and Infectious Diseases at the National Institutes of Health. This podcast is the second in a series focused on the H1N1 influenza outbreak. Randy S. Wax, MD, discusses the current outbreak of influenza A (H1N1), the triage protocol for critical care during an influenza epidemic, the public's role in taking necessary precautions, and educational resources that are available. Dr. Wax is an intensivist at Mount Sinai Hospital in Toronto, Ontario, Canada, and Assistant Professor of Medicine at the Faculty of Medicine, University of Toronto. He has multiple areas of expertise, including disaster management. This podcast is the first in a series focused on the influenza A (H1N1) outbreak. Society of Critical Care Medicine president Mitchell Levy, MD, FCCM, discusses his goals and vision for the Society during his 2009 term. Levy stresses the importance of professional collaboration and compassionate caregiving. Levy is professor of medicine at Brown University School of Medicine and director of the medical ICU at Rhode Island Hospital. The Paragon Critical Care Quality Implementation Program is a quality-focused program that aims to bring effective, tailored improvement strategies to hospitals. William A. Brock, MD, FCCM, is outgoing chair of the Paragon committee and a Paragon coach. Carrie Ogilvie, CCRN, MS, RN, participated in the Paragon Pilot Program and also went on to become a coach. Both discuss the importance of quality improvement and detail the successes of this initiative. Vladimir Kvetan, MD, FCCM, discusses the history and goals of the Critical Care Leadership Network of the Greater New York Hospital Association for which he is a founding member. Dr. Kvetan is director of critical care at Montefiore Medical Center in New York where he is a professor of medicine and anesthesiology at the Albert Einstein College of Medicine. The GNYHA seeks to serve healthcare providers, support patients in their journey toward better health and strengthen partnerships that promote high-quality, more affordable healthcare. John McNelis, MD, FCCM, discusses leadership and mentorship in the critical care community. McNelis is vice chairman of the department of surgery and director of surgical critical care and trauma at WinThuop University Hospital in Mineola, New York. In addition, he sits on the steering committee for the Critical Care Leadership Network of the Greater New York Hospital Association (GNYHA), a group of nearly 300 hospitals and continuing care facilities Thuoughout the New York area. The GNYHA seeks to serve healthcare providers, to support patients in their journey toward better health, and to strengthen partnerships that promote high-quality, more affordable healthcare. The Critical Care Leadership Network presented several posters during the 38th Critical Care Congress, which McNelis also will discuss. This podcast is one of a two-part series focused on leadership and mentorship in critical care. Peter Pronovost, MD, PhD, FCCM, discusses patient safety research and future efforts to reduce infections in the intensive care unit in this special 100th episode of the iCritical Care Podcasts. Dr. Pronovost is professor in the departments of anesthesiology and critical care medicine and surgery at The Johns Hopkins School of Medicine and a professor in the department of health policy and management at the Bloomberg School of Public Heath in Maryland. He also serves as director of the Quality and Safety Research Group at the Center for Innovations in Quality Patient Care Division of Adult Critical Care. Dr. Pronovost was selected to participate in the 100th iCritical Care Podcast because of his continued dedication to critical care, embodying the spirit of I AM SCCM. Richard D. Branson, RRT, FCCM, discusses his two upcoming presentations for the 38th Critical Care Congress, The Modes of Mechanical Ventilation and Mechanical Ventilation Modes: How and When. Both sessions will highlight new developments in mechanical ventilation and increase understanding. Mr. Branson is an assistant professor, division of trauma and critical care at the University of Cincinnati Medical Center in Ohio. The Society of Critical Care Medicine's eNewsletter provides members of the critical care community with vital news relevant to their practice as well as updates on Society activities and programs. Martha A.Q. Curley, RN, PhD, associate professor of nursing, anesthesia and critical care medicine at the University of Pennsylvania and nurse scientist at Children’s Hospital in Boston, discusses an article published in the May 2007 issue of Pediatric Critical Care Medicine, "Pediatric staff perspectives on organ donation after cardiac death in children." (Ped. Crit. Care Med. 2007;8:212). SCCM President Frederick P. Ognibene, MD, FCCM, shares his experiences and accomplishments as president, offers his vision for the Society and discusses current topics in critical care. Dr. Ognibene is director of the office of clinical research training and medical education at the National Institutes of Health (NIH) Clinical Center and the director of clinical research training program. He also is an attending in the medical intensive care unit at the NIH Clinical Center. Peter C. Laussen, MD, discusses an article published in the May 2007 issue of Pediatric Critical Care Medicine, titled "Pediatric Staff Perspectives on Organ Donation After Cardiac Death in Children." Dr. Laussen is director of the cardiac intensive care unit at Children's Hospital Boston. This is the first podcast in a two-part interview. Part two will feature an interview with lead author Martha A.Q. Curley, RN, PhD. (Ped. Crit. Care Med. 2007;8:212). Presidential Address Frederick P. Ognibene, MD, FCCM, outlines his goals and aspirations for the Society during his presidential address at the 36th Critical Care Congress in Orlando, Florida, USA. Djillali Annane, MD, discusses a study on epinephrine versus norepinephrine for septic shock he presented during the 36th Critical Care Congress. Dr. Annane is professor of critical care Raymond Poincare Hospital in Garches, France. Arno Zaritsky, MD, discusses an article he and Dr. Ikram Haque published in the March 2007 issue of Pediatric Critical Care Medicine titled "Analysis of the Evidence for Lower Limit of Systolic and Mean Arterial Pressure in Children." Dr. Zaritsky is professor and chief of pediatric critical care at the University of Florida College of Medicine in Gainesville, Florida. Gregory Martin, MD, discusses some of the topics from his presentation during the 36th Critical Care Congress, "Furosemide and Albumin in ARDS." Dr. Martin is assistant professor of medicine at Emory University in Atlanta, Georgia, and the section head of pulmonary and critical care division at Grady Memorial Hospital where he is also the director of the medical and coronary ICUs. Stephan Mayer, MD, FCCM, discusses cooling the neurological patient. Dr. Mayer is director of the neurological intensive care unit at Columbia University Medicine Center and he is an associate professor in neurology and neurosurgery Columbia University College of Physicians and Surgeons. He presented during the 36th Critical Care Congress on this topic. Howard Corwin, MD, FCCM, discusses hematological issues and anemia in the critically ill and injured. Dr. Corwin professor of medicine and section chief of critical care medicine at Dartmouth-Hitchcock Medical Center in New Hampshire and presented during the 36th Critical Care Congress on this topic. Peter Pronovost, MD, PhD, FCCM, discusses his article published in the December 28 issue of the New England Journal of Medicine, titled "An Intervention to Decrease Catheter-Related Bloodstream Infections in the ICU." Dr. Pronovost and researchers showed Thuough this study that simple measures, such as hand washing, can have a dramatic effect in reducing bloodstream infections. They focused on improved teamwork between doctors, nurses and other intensive care unit professionals, collecting data from 103 Michigan hospitals for up to 18 months. The reference for this article is NEJM 2006 Volume 355, Number 26:2725-2732. Frederick P. Ognibene, MD, FCCM, discusses his goals as the Society's president for 2007 as well as his decades-long involvement in SCCM and the critical care community. Dr. Ognibene is director of the office of clinical research training and medical education at the National Institutes of Health (NIH) Clinical Center and the director of clinical research training program, OIR. He also is an attending in the medical intensive care unit at the NIH Clinical Center. William Dager, PharmD, and John S. MacGregor, MD, PhD, discuss an article in the December 2006 issue of Critical Connections, titled "Recent Advances in Cardiology Pharmacotherapies for the ICU Clinician." The article was written by Joseph Dasta, PharmD, from The Ohio State University, and Jaclyn LeBlanc, PharmD, BCPS, from The University of Oklahoma. Dr. Dager is a pharmacist specialist at UC Davis Medical Center and a clinical professor of pharmacy at UC San Francisco School of Pharmacy. Dr. MacGregor is a professor of medicine in the division of cardiology at the University of California San Francisco Medical Center and is director of the cardiac catheterization laboratory at San Francisco General Hospital. Stanley Nasraway, MD, FCCM, discuss an article in the December issue of Critical Care Medicine "Heparin-induced Thuombocytopenia in the critical care setting: Diagnosis and management." The reference is Critical Care Medicine. 2006 34(12):2898-2911. This article offers continuing medical educational credit. Yizhak Kupfer, MD, discusses his lecture, to be held during the 36th Critical Care Congress, "Reduction of Medication Errors in the Intensive Care Unit." Dr. Kupfer is an associate professor of medicine at SUNY Downstate School of Medicine and is the director of the medical intensive care unit at Maimonides Medical Center in New York, New York. Derek Angus, MD, MPH, discusses a new, multicenter research consortium, called Protocolized Care for Early Septic Shock (ProCESS). The consortium is beginning a large-scale study to determine whether specific interventions can halt the progression to severe sepsis and septic shock. Dr. Angus along with SCCM members Mitchell Fink, MD, and Donald Yealy, MD, will lead a team of intensive care unit and emergency department personnel. The study is likely to offer valuable insight on the best ways to treat sepsis and the value of early goal-directed therapy. Dr. Angus is vice chairman of research for the University of Pittsburgh School of Medicine's critical care department. Simon Finfer, MD, MBBS, MRCP, is one of the prominent keynote speakers set to present during the 36th Critical Care Congress February 17 to 21, 2007. He discusses his keynote presentation "The Clinical Role of Albumin in the Critically Ill" as well as his latest critical care endeavors. Dr. Fifner is a senior staff specialist in intensive care at Royal North Shore Hospital of Sydney. Dr Finfer received his training from London University and Westminster Medical School, London University. He also trained in pediatric intensive care at the world-renowned Hospital for Sick Children in Toronto, Canada. Mitchell Levy, MD, FCCM, discusses a perspectives article published in the October 19, 2006, issue of the New England Journal of Medicine, titled "Surviving Sepsis—Practice Guidelines, Marketing Campaigns, and Eli Lilly," which criticizes the campaign and its major funding source, Eli Lilly. Patrick Kochanek, MD, FCCM, is one of the prominent keynote speakers set to present during the 36th Critical Care Congress February 17 to 21, 2007. He discusses his presentation, "Emergency Preservation for Resuscitation: Beyond CPR," as well as his background and expertise in critical care. Dr. Kochanek is director of the Safar Center for Resuscitation Research and is a tenured professor in the department of critical care medicine with secondary appointments in pediatrics and anesthesiology as well as the editor of Pediatric Critical Care Medicine. Daren Heyland, MD, MSc, is of the prominent keynote speakers set to present during the 36th Critical Care Congress, to be held February 17 to 21, 2007. He discusses his presentation, "Pharmaco-Nutrition: A New Emerging Paradigm," and offers insight into his background and accomplishments in critical care. Dr. Heyland is professor of medicine at Queens University in Kingston, Ontario, Canada. Terry Clemmer, MD, FCCM, discusses computerized physician order entry and error detection in the intensive care unit. This podcast was recorded during the Society's 35th Critical Care Congress and released to complement the Excellence in Quality and Safety in Critical Care conference to be held September 21 to 23, 2006. Dr. Clemmer is the director of critical care at LDS Hospital in Utah and professor of medicine at the University of Utah School of Medicine. Gordon Bernard, MD, shares his thoughts on the recently released Fluid And Catheter Treatment Trial or FACTT trial published in the May issue of The New England Journal of Medicine. The Society of Critical Care Medicine conducted this interview as part of its commitment to translating research to the bedside. Dr. Bernard serves as the steering committee chairman for ARDSNet, the group that published this study, and he shares his insight on its importance and future impact on critical care. Dr. Bernard also is the Melinda Owen Bass professor of pulmonary medicine, assistant vice-chancellor for research and director of the division of allergy, pulmonary, and critical care medicine at Vanderbilt University School of Medicine in Tennessee. (Pulmonary-artery vs. central venous catheter to guide treatment of acute lung injury NEJM 2006; 354: 2213-2224 and Comparison of two fluid-management strategies in acute lung injury NEJM 2006; 354: 2564-2575). Marie R. Baldisseri, MD, an intensivist from the University of Pittsburgh, discusses her article from the June issue of Critical Connections, titled "Rapid Response Systems: Have They Made a Difference?" Dr. Baldisseri is an associate professor of critical care medicine at the University of Pittsburgh School of Medicine. Raina M. Merchant, MD, a resident in emergency medicine at the University of Chicago, and Benjamin S. Abella, MD, an assistant professor of medicine in the section of emergency medicine at the University of Chicago, discuss their article published in the July issue of Critical Care Medicine. The article, "Therapeutic Hypothermia Utilization Among Physicians After Resuscitation From Cardiac Arrest," addresses whether physicians are cooling patients after cardiac arrest (Crit Care Med Volume 34, Number 5, Jul 2006 pp 1935-1940). Brian Jacobs, MD, project director of Integrating Clinical Information Systems, or ICIS, at Cincinnati Children's Hospital Medical Center, discusses how efforts in computerized physician order entry relate to patient safety. The ICIS system is a computer-based system implemented Thuoughout the hospital Thuough which all medical orders are entered and documented electronically. The system, believed to be the most comprehensive in any pediatric hospital in the United States, is expected to reduce medical errors significantly. Robert Truog, MD, discusses his article in the April issue of Critical Care Medicine, "Rationing in the Intensive Care Unit." Dr. Truog is professor of medical ethics and anesthesia, pediatrics at Harvard Medical School, Childrens Hospital Boston. The article focuses on how ICU caregivers distribute resources in the ICU. Michael Cheatham, MD, FCCM, is director of the surgical trauma intensive care unit at Orlando Regional Medical Center in Florida. He discusses his article published in the February issue of Critical Connections titled, "Consensus Definitions for Intra-Abdominal Hypertension and Abdominal Compartment Syndrome." Dr. Cheatham is vice president of the World Society of the Abdominal Compartment Syndrome and has studied the impact of elevated intra-abdominal pressures for more than a decade. Michael Gropper, MD, PhD, is director of critical care medicine for the University of California San Francisco Medical Center and professor of medicine and anesthesiology at the medical school. He is one of the many healthcare professionals who have found success in implementing the Surviving Sepsis Campaign guidelines and discusses the strategies for implementation as well as the challenges his institution faced. Mitchell Levy, MD, FCCM, and Jean-Louis Vincent, MD, PhD, FCCM, discuss their article in the October issue of Critical Care Medicine. The article, "Early Changes in Organ Function Predict Eventual Survival in Severe Sepsis," can help clinicians identify variables associated with good outcomes in sepsis. The authors explain that if patients with sepsis are not getting better at the end of 24 hours, they may be getting worse. (Critical Care Medicine, Volume 33(issue 10) October 2005 pp 2194-2201). Gordon Bernard, MD, serves as the ARDSNet Steering Committee Chairman and shared his knowledge of the ARDSNet project with attendees of the 35th Critical Care Congress during his keynote presentation,"ARDSNet: Success and Challenges of the National Heart, Lung, and Blood Institute's First Critical Care Research Network." Dr. Bernard is the Melinda Owen Bass professor of pulmonary medicine, assistant vice-chancellor for research and director of the division of allergy, pulmonary, and critical care medicine at Vanderbilt University School of Medicine in Tennessee. Lt. Col. Chet Morrison, MD, director of surgical critical care at Michigan State University, shares his experiences serving as a military surgeon in Iraq and gives insight to critical care in combat settings. Timothy Quill, MD, one of seven prominent critical care leaders presenting during the plenary sessions at the 35th Critical Care Congress, discusses the Terry Schiavo case and how courts have played a role in end-of-life decision making. Dr. Quill is a professor of medicine, psychiatry and medical humanities, as well as the director of the Center for Palliative Care and Clinical Ethics at the University of Rochester Medical Center, Rochester, N.Y. The Society's of Critical Care Medicine's incoming president, Charles Durbin Jr., MD, FCCM, discusses the goals he would like to help the Society achieve as well as current topics in the profession, including implementing guidelines in critical care and utilizing the multiprofessional team. The Society of Critical Care Medicine president, Peter Angood, MD, FCCM, discusses the growth and success of the Society as he prepares to pass the leadership torch at the end of the year. He cites the Society growing international scope, its collaboration with other organizations and its Right Care, Right Now campaign as being among SCCM most distinguishable accomplishments. Cathie Guzzetta, RN, PhD, HNC, discusses the experiences that led her to interest in the holistic approach to critical care. She shares her thoughts on caring for the mind, body and spirit of patients and families, including the controversies behind allowing some families to be present during CPR and invasive procedures. Guzzetta is director of Holistic Nursing Consultants in Washington, D.C., and one of seven prominent critical care leaders to present during the plenary sessions at the 35th Critical Care Congress January 7 to 11 in San Francisco, California. Dr. Scott Dulchavsky's studies of critical care in space may have major influences in intensive care on Earth. Learn more about him and his work before he takes the stage during a 35th Critical Care Congress plenary session. Two Society members discuss their experiences treating evacuees of Hurricane Katrina, the level of preparedness they saw within their hospitals and what lessons they will take from this disaster. Advocacy Caucus in Washington, D.C.